Kelvin completed his Advanced Diploma in Film Production (Directing) at Ngee Ann Polytechnic after receiving the Media Education Scheme Award from the Media Development Authority (MDA) of Singapore in 2004. As Managing Director of Kelvin Sng Productions, which specialises in film production, film education and artiste management, Kelvin's belief in nurturing new talents sees him signing on promising actors under his belt including Maia Lee, whose acting career was launched as a result. Kelvin also produced Chai Yee Wei's award-winning short film My Blue Heaven, which was screened internationally in several film festivals. As Executive Producer, he has produced The Forgotten, a mid-length film produced by Eusoff Works, the film production arm of Eusoff Hall at the National University of Singapore (NUS) and Steadfast, another mid-length action film boasting an international cast directed by newcomers David Liu and Linus Chen. The latter received "Honourable Mention" at the Los Angeles Movie Awards 2010. Kelvin's extensive body of works include television commercials, music videos and corporate videos. He has also worked closely with various organizations and institutions such as Singapore Media Academy, the Substation, Canon Singapore and the British Council to support and promote filmmaking in Singapore. He has curated film screenings for several organisations including Toronto-Singapore Film Festival to help promote local films abroad. Kelvin’s debut feature film Taxi! Taxi! starring top comedians Mark Lee and Gurmit Singh, was released theatrically in both Singapore and Malaysia in January 2013. It was the second highest grossing Singapore film after Jack Neo's Ah Boys to Men 2 for 2013. Besides being a box office success, Taxi! Taxi! was also the first official entry from Singapore at the ASEAN International Film Festival and Awards 2013 held in Sarawak, where it also won the Special Jury Award. Besides working on a number of upcoming feature film projects, Kelvin is also an accomplished filmmaking and acting coach, and he lead a team of industry practitioners to coach and discover talents in the area of film, video, media and theatre. He is currently an Associate Lecturer in New Media and Music Video Production at Singapore Raffles Music College. Kelvin has recently released his new feature film The Fortune Handbook. 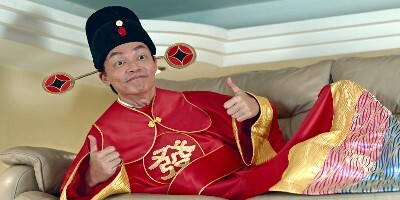 The Chinese New Year themed comedy film was theatrically released in Singapore and Malaysia on 26 January and 2 February 2017 respectively, crossing the million dollar mark at the box office in both countries.